At MonetizePros, we recognise that virtually every successful online entrepreneur shares the hunger to constantly learn and consume new information. Over the past 10 years, podcasts have become a fantastic marketing tool for industry experts to share their knowledge and a way for listeners to gain a well-informed insight into a topic that interests them. Podcasts are so popular because they bring a variety of new business ideas and different perspectives to the table that business owners may not have not have previously explored. Podcasts make learning easy – simply download, plug in your headphones and learn something new while you go about your daily routine e.g during the commute to work or while you workout. Whether you’re looking to make a website from scratch or looking to catapult your existing business to new levels of success – there is a podcast out there for everyone. Below we have put together a list of 20 of the best business podcasts – the hosts are running their own profitable businesses and can help you do the same. Pat Flynn is a name familiar to the majority of online entrepreneurs. 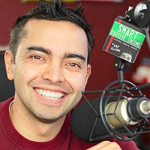 With over 11 million downloads and counting, Smart Passive Income is one of the most popular podcasts on the internet. Here you can listen to Pat talk about all aspects of online business and how to create multiple passive income streams using everything from lifestyle changes to automation and blogging. In 2008, Pat was laid off from work at an architecture firm, instead of getting another 9 to 5 job he decided he was going to work for himself from home. While working only a few hours a week, Pat has now managed to support his family 100% with his six-figure passive income. A transparent approach to his online strategies and income has been very well received by podcast listeners, professionals and completely new entrepreneurs alike. The Owners Mind is a great business oriented podcast about growing your capabilities and connections as a business owner. 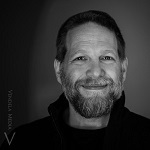 Host, Chris Brogan is a New York Times 8 x bestselling author and business advisor. On The Owners Mind Podcast, Chris shares his own stories and experiences to help others “own” their business, lives and world. You can expect interviews with professionals in the industry and owners just like you about the ups and, more importantly, the downs of business ownership. Spencer Haws, host of the NichePursuits Podcast has inspired thousands of upcoming online entrepreneurs to start their own niche blogs. 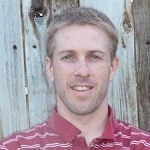 Hawes quit his job in 2011 to work full time on his online projects, creating over 200 websites in a year. Using his insightful guidance you can learn how to both build and market your own website or progress your small business. Here you’ll also find interviews with leading industry entrepreneurs that provide advice on everything from Website flipping and link building to software development etc. 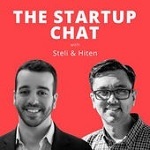 Steli Efti from Close.io and Hiten Shaw from Kissmetrics use The Startup Chat podcast to provide listeners with actionable advice from their first-hand experience as serial entrepreneurs and founders of multi-million dollar SaaS start-ups. The twice-weekly episodes offer you unfiltered, tangible advice “straight from the trenches” of two busy CEOs. These two know the value of your time and aim to fill the 22 minuet episodes with as much useful startup advice as they can. Ramp is the educational podcast by business analytics company InsightSquared. 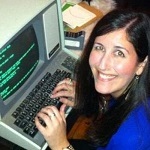 Host, Cara Hogan helps listeners by teaching them how to take their data and transform it into millions of dollars’ worth of revenue. Here you will find interviews with industry thought leaders, sales experts, and data analysts that will help you understand how business analytics can help you drive reliable and sustainable growth. 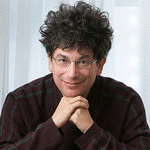 James Altucher is an experienced entrepreneur, investor, and Podcast host at AskAltucher. He has started and sold several eight figure companies, and sat on the board of a billion dollar business whilst appearing in almost every major media publication in the United States. Over the past 15 years, his vast experience has given him a great insight into everything from business and investing, to self-help and entrepreneurship that he invites listeners to quiz him about on Ask Altucher. James has ‘lost all my money, made it back, lost it, made it back several times’ which he discusses openly on his daily podcast. 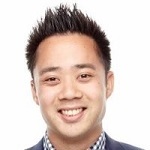 Every Monday Eric Siu interviews world-class entrepreneurs on his Growth Everywhere Podcast to reveal their actionable insights into business and personal growth opportunities. As CEO of Single Grain, Eric’s background is in internet marketing, with a focus on paid advertising and content marketing. He talks about this on his Podcast, and whether you’re an aspiring or current entrepreneur, you’re guaranteed to get value out of each interview. If a weekly podcast wasn’t enough, Tuesday through to Friday you can listen to ‘Growth Bites’ which are short segments in which Eric covers topics from marketing, hiring, productivity, sales and more. 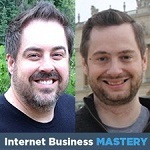 Since 2005, Internet Business Mastery has been the #1 internet business podcast dedicated to helping listeners escape 9-to-5 jobs. 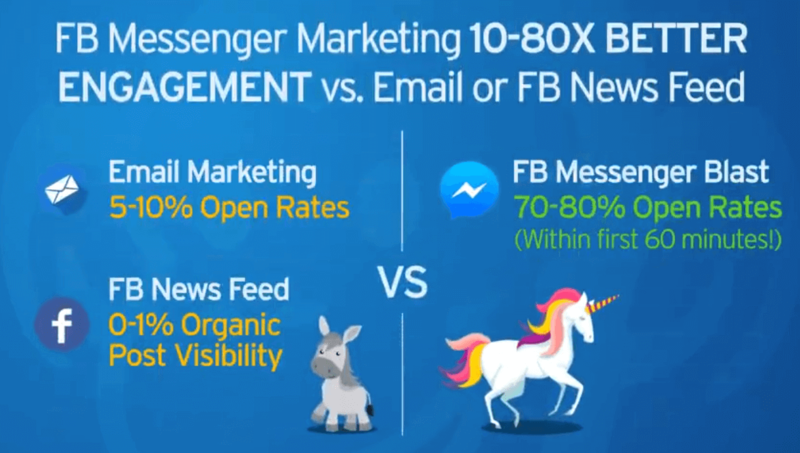 With hosts Jeremy and Jason you will learn everything from creating web-based businesses, to using Web 2.0 strategies combined with classic internet marketing for the new social media age. Whether you are starting up a new business or wanting to improve on your current one, this podcast aims to teach you the principles of building a passive income stream. Their podcast is dedicated to teaching listeners not only the skills, but the mindset to set them up for success as an internet entrepreneur. Tim Reid is the award-winning host of Australia’s #1 Marketing Podcast Small Business Big Marketing. After spending 20 years working for the largest advertising agency in Australia, Tim decided to create his own marketing consultancy to show small business owners how to make their business’ irresistible. His aim is to inspire small business owners to create marketing that generates a generous return from their modest marketing budgets. Tim’s Podcast has now downloaded by motivated small business owners in over 110 countries. 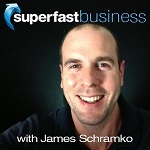 The SuperFast Business Podcast will help you grow a profitable business FAST. Hosted by online entrepreneur James Schramko, his daily insights help business owners with everything from SEO, web development, and content marketing to new business ideas. For $79 per month, you can also gain access to his paid community where you can expect high-value training, mentoring and access several elite podcasts. 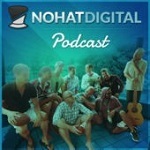 Hayden Miyamoto and his team at the No Hat Digital Podcast work hard to bring you actionable business strategies that will catapult your business’ success to record heights. You will learn everything you need to know about running an online (or offline) business with valuable information about niche and authority site monetization, SEO techniques, business automation and outsourcing. 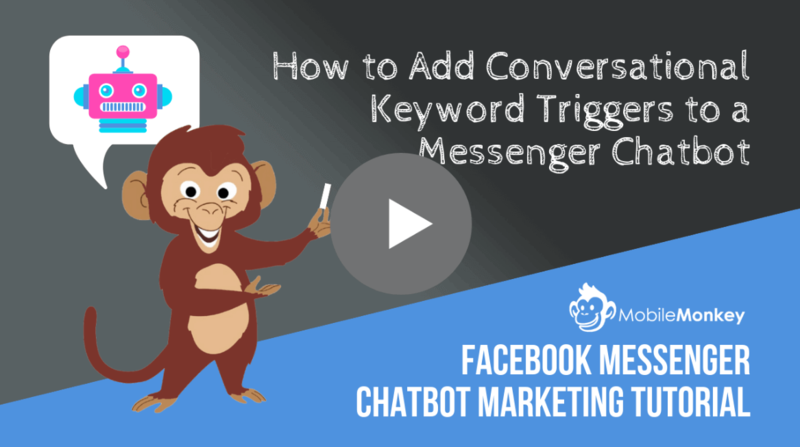 Listeners will also find out No Hat Digital’s advanced approaches to formulas that create a buzz on social media as well as endless other online tips and tricks that you can inject into your business. 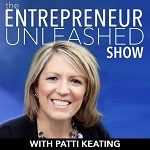 The Entrepreneur Unleashed is a weekly podcast hosted by Patti Keating. Patti is on a mission to help driven entrepreneurs make money and change lives. This insightful podcast with interviews from today’s most successful entrepreneurs will be most useful to those with a purpose driven mindset and who want to make a positive impact in the world. Patti has helped thousands of business owners grow businesses and express their purpose and passion in the world by exploring the entrepreneur’s journey to living with a purpose. Patti also discusses why mindset is the most important key to success! Content Inc is a Podcast that focus’s heavily on the importance of content marketing for entrepreneurs and start-ups alike. 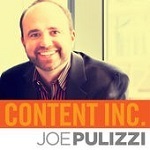 Joe Pulizzi wants to teach his listeners the importance of developing a loyal audience through remarkable content. Labelled the “godfather of content marketing,” Joe believes that most entrepreneurs are going out to market in the wrong way- instead of leading first with your product, you should be building audiences through great content who then want to buy your product. His short 15 minuet episodes centre around one inspirational idea at a time that he believes will change your business for the better. 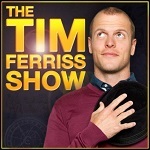 If you listen to business Podcasts regularly, then you almost certainly have heard of The Tim Ferriss Show. Named one of the most innovative business people by Forbes Magazine, Tim is also the bestselling author of, ‘The 4-Hour Work Week’, a New York Times, Wall Street Journal and Business Week bestseller which has now been translated into 40+ language. Ranking as the ‘#1 business podcast on all of iTunes’, his show deconstructs world-class performers from eclectic areas such as investing to pro sports – digging deep and asking questions to find the tools, tactics, and tricks that his listeners can benefit from. Jonathan launched the Beginner Internet Business Podcast on Blog Talk Radio in 2009 with little more than a cell phone and a free call number for his listeners to contact him. Amassing an audience of over 70,000 in the first two years, The BIB Podcast has gone on to be the top internet business podcast on all of iTunes. This popular podcast reveals real-life ways to make a living online, with tips, tricks and step-by-step guides on how to start your own internet business. You can expect interviews with successful online celebrities and insightful candid advice from an entrepreneur who are genuinely interested in helping you succeed. Compared to many of the seasoned podcasters on this list, None of my Business is the relatively new but never the less very popular podcast by Matt Dietz. Here you will find interviews with an array of small business owners who share their tales of success and failures when building a business. With no two guests or business models being the same, guests on Matt’s podcast will inspire you with stories from every niche and share their stories behind the brand. 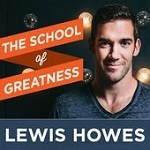 Lewis Howes is the inspirational Podcast host who shares his powerful journey on ‘The School of Greatness’. He went from being broke and sleeping on his sister’s couch after an injury ruined his professional football career, to running a successful seven figure a business in a couple years. The goal of the School of Greatness is to share inspiring stories from the most brilliant business minds, world class athletes and influential celebrities on the planet; to help you find out what makes great people great. 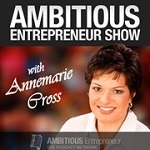 The Ambitious Entrepreneur Show by Annemarie Cross is here to empower women entrepreneurs struggling with marketing their business help them stand out in crowded markets. Her show will teach you everything from mindset strategies to getting noticed by more clients, and how to turn those prospect into customers who pay you what you’re worth. Every company aspires to create a brand that captures high paying clients. Annemarie helps you do this by discussing practical tools, branding and marketing strategies oh her podcast to help you take your business to the next level. 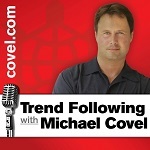 Michael Covel is the voice of Trend Following, a podcast with over 300 episodes and 3M+ listens. He is also the bestselling author of TurtleTrader and Trend Following, a popular online resource that allows investors to profit from both up and down markets. Michael has expertise in Trading, economics, human behaviour & entrepreneurship – all of which are passionately explored on his weekly podcast where you can expect to find interviews with Nobel Prize Winners, Behavioural Experts and Top Traders. The New Business Podcast by Chris Ducker will make you more productive and profitable, in business and life. Chris is a serial entrepreneur, bestselling author and small business marketing coach who helps start-ups and well as established brands catapult their business into the 21st century. On the on his weekly podcast, listeners will also gain an insight into his expertise in ‘new business’ marketing, which involves tips and growth strategies such as, outsourcing, blogging, podcasting and social media. Do you listen to any of the best Business Podcasts on our list? Leave a comment below of any you think we should add. Great web site. Lots of helpful info here. I’m sending it to several friends ans additionally sharing in delicious. Thanks so much for including my podcast on this list! However, Million Dollar Insights recently rebranded and is now called “Ramp.” I’d really appreciate it if you could update the name, though the link remains the same. Thanks! Great to hear that you are also a fan of Matt Dietz’s podcast! 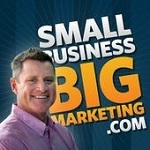 Small business, big marketing with Timbo Reid at number 9. I’m honoured to have made the top 10, and be the highest ranked Aussie podcast. 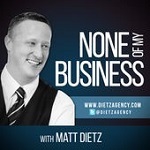 From a small business owners perspective, the diversity in Matt Dietz’s None of My Business is amazing. Like he has pointed out, most of us are just good at our specialty, we didn’t go to school to run the business side of things. It is very helpful to hear people in the same boat and learn what worked and didn’t and why for them in similar situations. Thank you, Marc – Pleased to hear that you found some new listening material on our lists! We will take a closer look at your recommendations. Thank you – Great recommendation Vishal! You’re very welcome Jeremy!- Keep up the great work. Thank you so much for adding us to the list, I’m so glad you find value in it! Nice list, I didn’t know at least half of them! Entrepreneur on Fire and $100 MBA. Those are the two that I’d add! We find it a great way of learning new information too! A great mixture here. I haven’t heard of a few of these so I will give them a listen. I always listen to podcasts during my commute to work – I’ve found this one of the quickest ways to learn. Yes, be sure to check back and let us know if you find any new favourites. Really good list you’ve pulled together here MP. I’ve never thought about learning this was but I’ve just downloaded TheStartupChat because I’ve heard great things about them. I will let you know what I think. Great choice Anna! Pat Flynn is one of the best. Ohh I’ve just started listening to business podcasts. Pat Flynn is my favorite at the moment but i’m going to take a look at some of the others on this list.